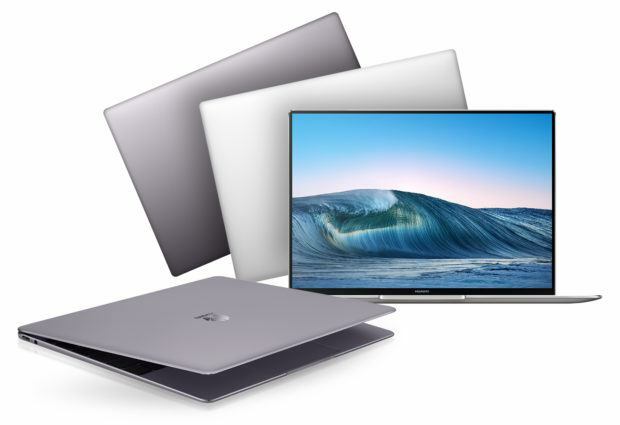 Building on its success in delivering beautifully-designed and powerful high-end mobile devices, HUAWEI Consumer Business Group (CBG) today unveiled the HUAWEI MateBook X Pro, the HUAWEI MediaPad M5 Series, and the HUAWEI 5G customer-premises equipment (CPE) – the world’s first commercial terminal device supporting the globally recognized 3GPP telecommunications standard for 5G. In addition to that, HUAWEI marked its debut as the only mobile device manufacturer in the world to use an AI-powered smartphone to drive a car through its ‘RoadReader’ project. With stunning new design updates and outstanding performance advances, HUAWEI’s new devices showcase the power of technology to deliver innovative computing experiences ready for the mobile world. The ‘RoadReader’ project pushes the boundaries of HUAWEI’s object recognition technology and puts the learning capabilities, speed and performance of its AI-powered devices to the test. The HUAWEI MateBook X Pro is a robust device that seems to be a competitor for the MacBook. It will be interesting to see how the two compare with one another. We have asked Huawei for a sample for review and we will give you our in-depth review regarding the product once we get our hands on it. The HUAWEI MateBook X Pro and HUAWEI MediaPad M5 Series will be available in the spring of 2018 in China, Europe, North America, Asia Pacific and the Middle East. The following are the details of the products that you need to know. The HUAWEI MateBook X Pro is an ultra-slim, yet full-featured 13.9-inch notebook with an all-new 3K touch-enabled HUAWEI FullView Display and 91 percent screen-to-body ratio. Powered by an 8th Generation Intel Core i7/i5 processor, a discrete Nvidia GeForce MX150 GPU with 2GB GDDR5 and a long-lasting 57.4Wh (Typical Capacity) battery, making it one of the lightest and most powerful notebooks on the market. 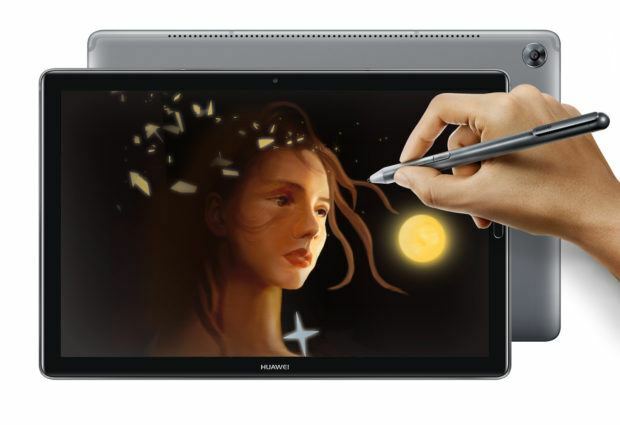 Ergonomically designed with a 2.5D glass screen and 2K HD, ClariVu 5.0-enhanced display, the sleek and powerful 8.4-inch and 10.8-inch tablets feature speakers tuned by Harman Kardon. HUAWEI Histen technology provides immersive 3D audio and fully supports Hi-Res audio for exceptional sound quality. The 10.8-inch HUAWEI MediaPad M5 Pro comes with an ultra-precise HUAWEI M-Pen featuring 4,096 levels of pressure sensitivity to make note-taking more realistic, easier and effortless. The HUAWEI 5G CPE is the first of its kind supporting the globally recognized 3GPP telecommunications standard for 5G. Available in indoor and outdoor configurations, it provides super-fast download speeds of up to 2Gbps and can operate on both 4G and 5G networks. The HUAWEI 5G CPE adopts Huawei’s internally developed Balong 5G01 chipset – the world’s first commercial chipset supporting the 3GPP standard, compatible with all 5G frequency bands, including sub-6GHz and millimeter wave (MMW). Most autonomous cars currently being developed rely on the computing power of purpose-built chips developed by third-party technology providers. However, as part of its ongoing mission to make the impossible possible, HUAWEI has used technology already available in its smartphones, demonstrating its superior functionality and ability to stand up to even the most advanced technology developed for use in self-driving cars. For the ‘RoadReader’ project, HUAWEI has transformed a Porsche Panamera into a driverless vehicle that doesn’t just see, but crucially, understands its surroundings. This means that can it can distinguish between thousands of different objects including a cat and a dog, a ball or a bike and learn to take the most appropriate course of action. The project is taking advantage of the AI capabilities already in the HUAWEI Mate 10 Pro. Let us know what you think about the HUAWEI MateBook X Pro and whether or not this is something that you are interested in getting for yourself. Overwatch Teases Its Fans With Torbjorn’s Letter, His Daughter the Next Hero?